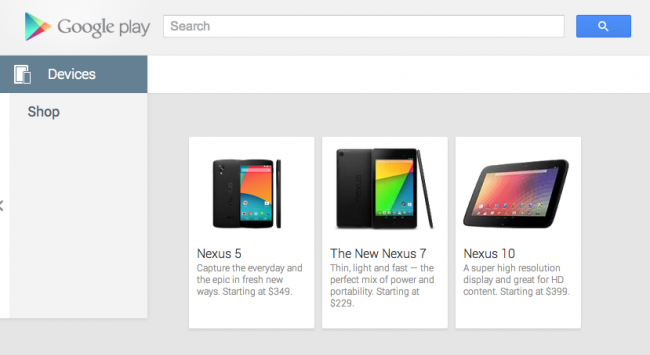 Sooooo, the Nexus 5 is now showing up on Google Play (name now confirmed). Tough to tell if this is an early mistake or something is about to go down officially. The price shows that it starts at $349 and there is a direct link to the phone (which is not live yet) that shows it will be a 16GB model. There could be a 32GB model as well, but that info isn’t available. Update: And here is the mega-high-res version. Update 2: The Nexus 4 is now completely gone. 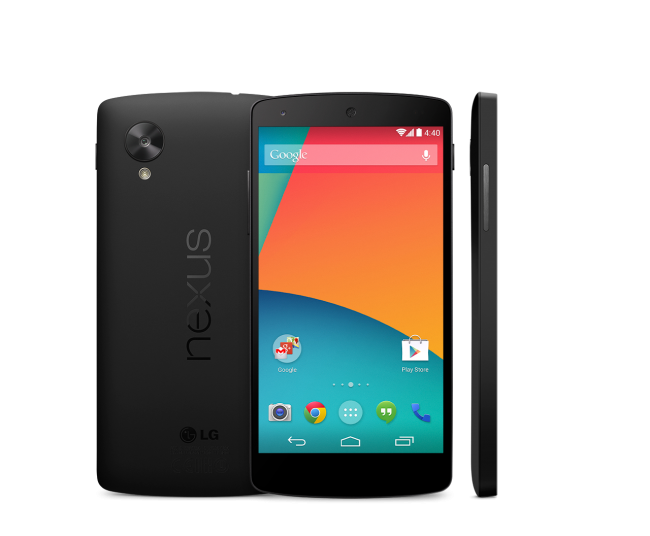 Update 4: And the Nexus 4 has returned. Update 5: Google appears to have closed up shop now. There are now no real remaining traces of the phone. Did they mean to do that? Probably not. The question now is, are we going to see an announcement tomorrow without any sort of event? If not, how big of a screw-up was that?